Water, water everywhere, especially the bottled kind. In fact, there is so much bottled water out there, sometimes it can be hard to choose the best one. So we’ve made a list of 10 of our favorite brands on shelves today to compare, with average pH levels, highest mineral contents, etc. Some are still, some sparkling, some with flavors, some without. So whatever you prefer, we’re confident you’ll be able to find a bottled water on this list to fit your taste, and your budget. 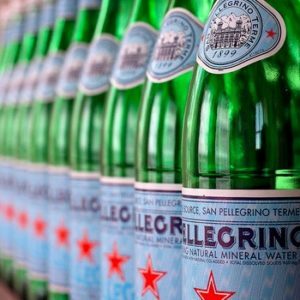 Well-known throughout the world, San Pellegrino made its name in restaurants as the model for sparkling mineral water. Its water is clean tasting and its soda flavors are sweetly refreshing. There’s pretty much no market or decent restaurant you won’t find it. 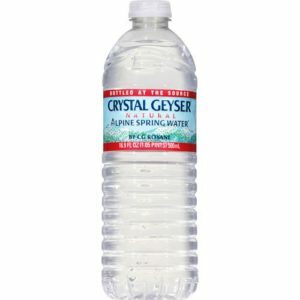 One of the America’s water industry giants, Crystal Geyser is probably best known for its convenient, single serving water bottles. More recently, their sparkling water flavors have become more popular, as well. Sources: Weed, CA; Olancha, CA; Norman, AR; Benton, TN; Salem, SC; Moultonborough, NH; Johnstown, NY. 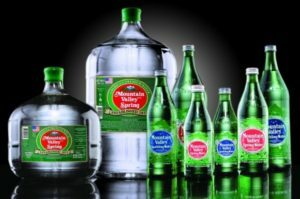 A premium American staple since 1871, Mountain Valley is one of the most recognizable and refreshingly clean water brands available. They prefer to keep their product line small, but have recently released two new delicious varieties of sparkling water. 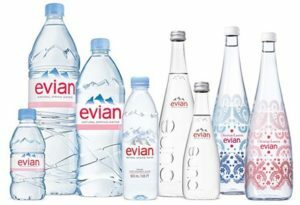 Evian was one of the very first luxury brands on the water scene. With a price tag towards the top end of the spectrum, we sure hope it’s actually from the French Alps. 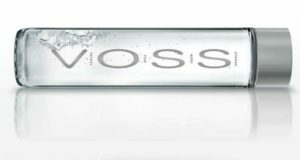 Best known as the choice of Las Vegas nightclubs, Voss is the probably most well-known for its unique, simply shaped water bottle. Voss water is sourced nowhere near Voss, Norway, but its taste is rather clean, and its new sparkling water flavors quite refreshing. Sourced from an artesian spring, Fiji Natural Artesian Water claims to be “free from human contact until you unscrew the cap”. 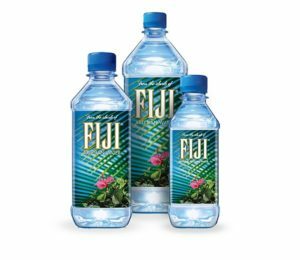 Fiji is best known for its signature square, tropical looking bottle, and certainly does with this visual appeal. Saratoga Spring Water is a premium water with a rich history. Many people have not only trusted the purity of this water itself, but they have also claimed healing properties in the New York sources from which it came. 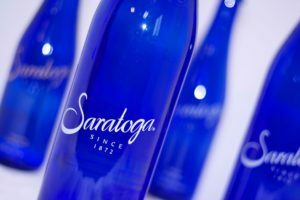 Saratoga is a pure tasting water, and its flavored sparkling varieties are subtle yet satisfying. Distilled from local sources, Smartwater is essentially purified water with electrolytes added for taste. So what makes it “smart”? Great marketing, of course! 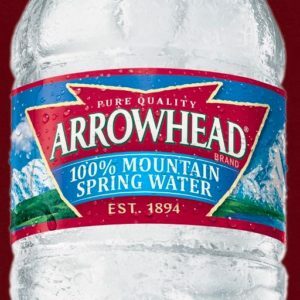 Another large water brand in the western United States, Arrowhead water gets its name from a natural rock formation in the San Bernadino Mountains that is shaped like an arrowhead. A regional staple in drinking water, it’s an easy-to-drink H2O with not much leftover on the palate. Word of caution: keep away from sunlight and drink well before expiration date, to avoid that vile, plasticky taste. 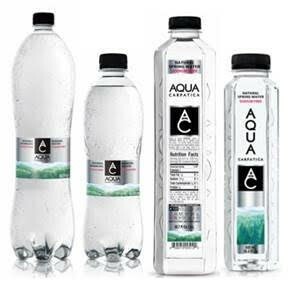 Aqua Carpatica is a relatively new water brand on the scene, especially in the US. 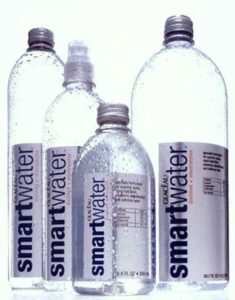 Its major marketing focus is the health consciousness of its water: nitrate-free water, magnesium-rich, and low sodium. For this forward-thinking brand from the Transylvanian mountains, we’re interested to see how it catches on.